Last Tuesday I wrote a post regarding a slideshow that Local 10 Miami had posted on their website. 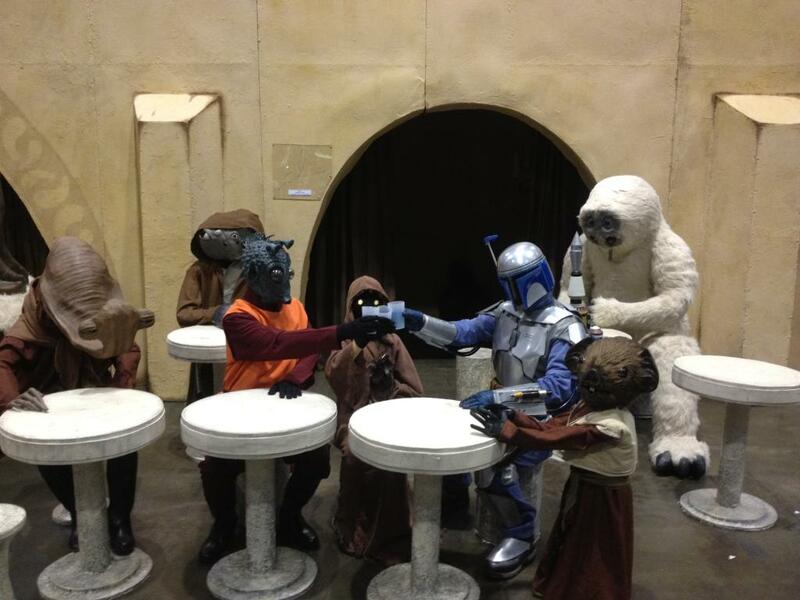 It involved some very hurtful comments and captions towards cosplaying attendees at Star Wars Celebration VI. Since then, 501st fans from all over the world have been voicing their opinions about the hurtful captions under the photos. Our cries for the slideshow to be removed and an apology to be issued was heard on Wednesday at 6pm. They say every cloud has a silver lining. In this case, I got to watch as thousands of people from all over the world came together to support and back each other up, to what was seen as an attack on our group and not just the individuals in the pictures. The 501st Legion, as well as other costuming and fan groups, have accepted this apology and are ready to move forward. Now, we are asking our fans to do the same. The 501st Legion has accepted the apologies offered by WPLG Local 10 Miami for the insensitive captions made in their “What the Force?” photo gallery. We appreciate the fact that WPLG removed the gallery as quickly as possible. We understand that the harm that was caused by the statements was unintentional, and we know that they will be more sensitive to these concerns in the future. This week, we all witnessed how quickly an anonymous post on the internet, even intended in jest, can set off a whirlwind of hurt feelings and a firestorm of protest. The support that members of the public offered to us and to our fellow fans and fan groups was truly overwhelming. Those united voices showed that the Force is strong with us when we stand together. We are glad to put this unpleasant situation behind us and refocus our energies to our charitable mission of giving back to the community. Thank you. Thank you to everyone who reached out and expressed their feelings towards the situation. Without you, this post would not have been written. We look forward to helping Local 10 showcase the good work all fan groups do for the community and the next time you see us on their website, it will a much more positive reading experience.